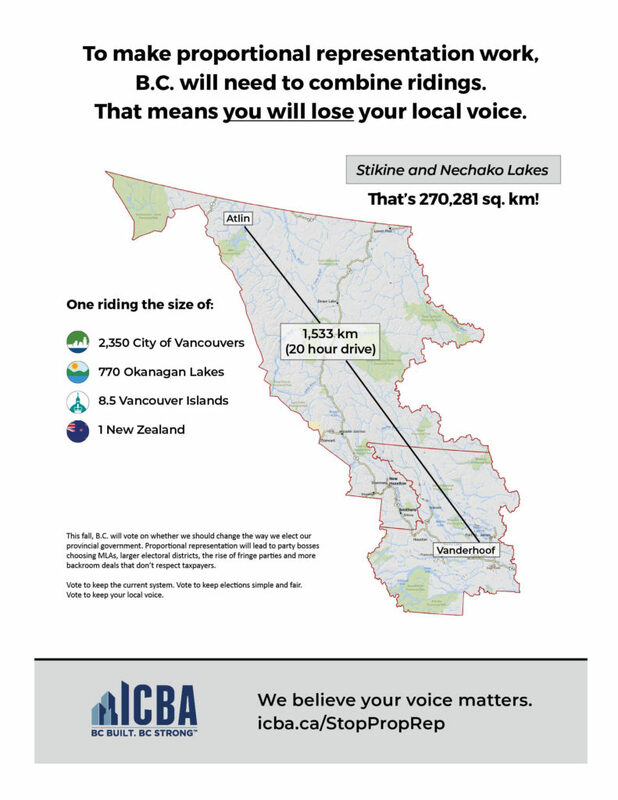 VANCOUVER – The Independent Contractors and Businesses Association (ICBA) and Canada West Construction Union yesterday filed leave to appeal a BC Supreme Court decision against an injunction to pause the proportional representation referendum process. On August 28th, Justice Miriam Gropper turned down ICBA’s request for an injunction to pause the referendum process until the legality of the process could be confirmed in court. The NDP Government has been dragging its heels on defending its referendum process, taking over two months to file a response to ICBA’s challenge. “The NDP Government talks a lot about democracy and having a fair debate, but they have shown no willingness to respond in a reasonable fashion – it’s their rules, it’s their process and it’s their referendum – they need to show up. We prepared our challenge within a week, and they needed more than two months,” said Chris Gardner, president of ICBA. ICBA’s original case against the NDP government continues on and ICBA is hopeful that the government will agree to a court date in the fall. But until then, ICBA is seeking an injunction because the government is attempting to “run out the clock” and leave the courts with little practical remedy should the ICBA prevail in court, because the referendum will already be over. The regulations unlawfully restrict freedom of expression on matters of public interest. For the full text of ICBA’s original application for an injunction, click HERE. To read the original petition, click HERE.